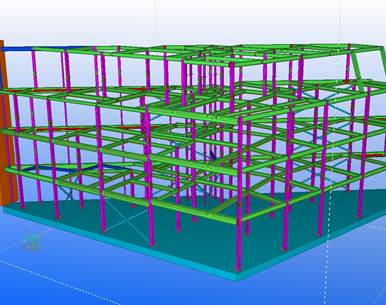 Using Tekla Structures we can model and detail a diverse range of steel fabrications.This includes architectural, secondary and structural steel projects of any size or complexity. • Using the information available within the 3d model, our clients get fast and accurate material quantities for efficient estimating and successful tenders. 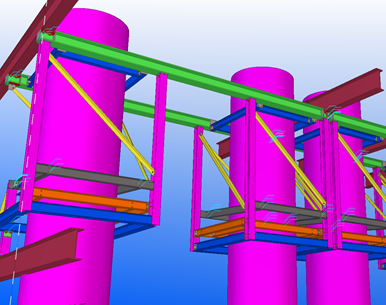 • As we develop each 3d model, we can visualise problem areas in 3d and quickly resolve connection or access issues. 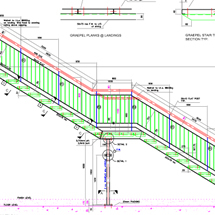 • We can coordinate with the project design team and other sub contractors, at all stages throughout the project, to minimise clashes with other project elements and to reduce site costs. • We can transfer CNC data quickly and efficiently to production equipment and external suppliers. 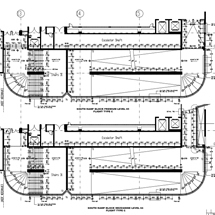 • We can manage model changes easily and update drawings efficiently. 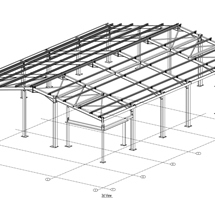 • We can import model data from other contractors and suppliers, to ensure your element fits first time and follow-on trades can design and fabricate their element of the build on programme. 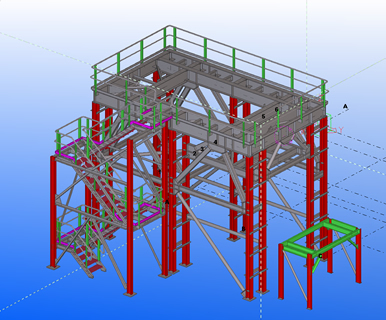 • We can provide complete visualisation of the project to achieve faster production and fitting timeframes, (some fitting crews who use the model on site, have reported productivity increases of up to 25%). 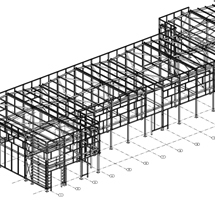 General arrangement plans, elevations, sections and perspective drawings for approval and site erection. Bills of Materials for ordering, cutting, fabrication and site assembly. Individual drawings (part/shaft) for cutting and drilling. CNC files for cutting and drilling. CNC files for cold rolled ordering. Carrick, Eighter, Virginia, Co. Cavan.